“Always tell the truth, that way you never have to worry about what you have said – it is always true.” My father gave me this piece of advice when I was a teenager. His point was when you tell a lie, you always have to remember what you said in order that you keep your story straight. It is much easier to just tell the truth and not have to worry about it. I have found this to be invaluable advice as, let me be honest here, I don’t have the brain cells anymore to remember all that! In your job search being honest with others is critical, but the most important step is to be honest with yourself. It is vital to know your strengths and challenges but you need to do some really deep thinking on this one. So many times I encounter people that tell me that they are not good at something but can learn to do it well just to get a job. If you think that you can talk yourself out of a weakness you are only fooling yourself. For example, if you are not a team player, you are not going to fake your way out of this. First of all, how many crucial examples can you give of your experience and value-add as a team player? Secondly, if you get hired and this is a critical part of your job then you are setting yourself up for failure. I am not saying you can not learn to play nice with others, but for goodness sakes, do not boast that you are an excellent team player and everything in your background centers around being such a fabulous team player. If you ask me if I would rather lead or follow, I would say lead. I am the kind of person that I take my commitments and projects seriously, I want everything to go perfectly and being able to have the lead role in projects allows me to make sure the integrity of the project meets my very high expectations and the completion meets the vision. I also love working with people who have different strengths than I do and bring these out in their best form to make sure we have put everything we can in the project. If I am assigned as team-member, I thrive under a leader that holds the same high expectations that I do but allows each member to bring their expertise and best performance to the project. If I am under a leader with that type of leadership I can outperform the best of them and make it a successful project. If I am under a leader who has no vision, no leadership, who is a micro-manager; well then I do not perform at my best. I have a friend that does not feel comfortable in the leadership role; he struggles with the responsibility of so many facets under his control. He excels at a team-player role, given clear direction and expectations and he shines. I am not saying that this is a bad thing, this is actually a very good thing – can’t have too many cooks in the kitchen. But he must be honest with himself and not tell people that he thrives in leadership roles or even wants to pursue them. Some of our abilities are innate, we are who we are. We can adapt, learn, grow and change; but there might be some things about you that are simply not going to change. Be realistic about yourself and then figure out your priorities. Are some of your challenges keeping you from being employed? Then how serious are you about learning different methods, behaviors, or skills to improve your abilities? If you really want something but it takes effort to change and you refuse to change, then you really do not want it in the first place. Plain and simple. Here is my challenge to you: list out your strengths and challenges. For each item in each list detail why it is a strength or challenge, if you can not explain why your strength is a strength than it is not. Give solid examples. 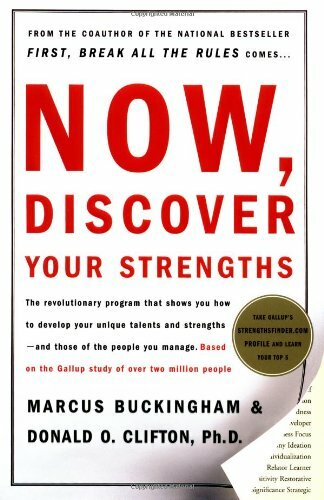 For the strengths, how to you continue to improve on them? For the challenges, how important is it to you to change this? What can you do to improve these? Lastly, are you willing to do so? This exercise takes a lot of honesty, time and a good hard look at yourself. No one said transition is fun, but it is an opportunity to re-discover some things about yourself that you might have forgotten and an opportunity to face some serious music. For me, my challenge is filing and continually being organized. This is a daily struggle, but I continue to evaluate what I do that hinders my progress in being organized and, yes, there are days that I admonish myself for not filing everything away while it was in my hands. I haven’t found that perfect system for me yet, but I keep reading, researching, trying and putting one foot in front of the other. And one day, I will write an article on how my office is the picture of organization. One day…. “Helping those looking for the right job look right for the job” – this is how Lisa K. McDonald of Career Polish, Inc. describes her purpose. Lisa is a pre-employment/transition strategist and Certified Professional Resume Writer who separates herself by focusing intently on the strategy of job searching. This strategy includes many vital tools including resumes, cover letters, business communication, networking, social media and personal business branding. Central in her work is teaching clients how to emphasize or re-discover their strengths and be able to communicate them effectively in order to implement a successful job search strategy. Lisa’s passion for teaching and belief in giving individuals the right tools and the knowledge to implement these tools is always a central theme and extends beyond her work with individual clients. She teaches multiple workshops; is a requested speaker to various groups, organizations and businesses; consults with companies who are downsizing; and partners with companies to develop their sales force. To learn more about Lisa K. McDonald and Career Polish, Inc. please visit http://www.CareerPolish.net. ← Are Paper Resumes Dead?